open iTerm (because we use iTerm, always… if you are not using iTerm, please go there, download, install and run then come back) but my friend was using terminal so that’s why the pictures show terminal. 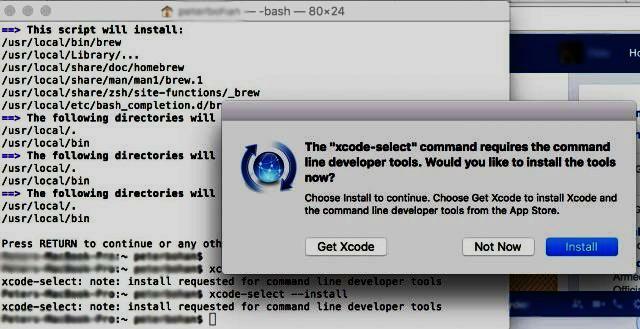 The system will prompt you to install the command line tools without XCODE, notice the Get Xcode option. and that will eventually ask you for permission to install Homebrew and then your password. Homebrew will ask you for your password and give you this scary message that isn’t scary at all. after that, you have Homebrew and you saved yourself a lot of hard drive space. Thanks to Ryan Winchester for posting the tip originally! Use Tab Key in Dialog Boxes in OSX like Windows!